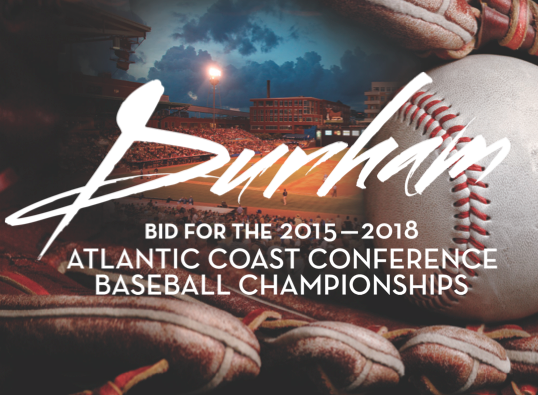 Team Durham made its presentation on Friday to the selection committee at ACC HQ in Greensboro. 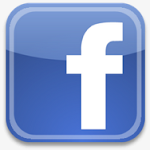 We're going after the ACC Baseball Championships full throttle. Host cities will be chosen for 2015-18 this spring. 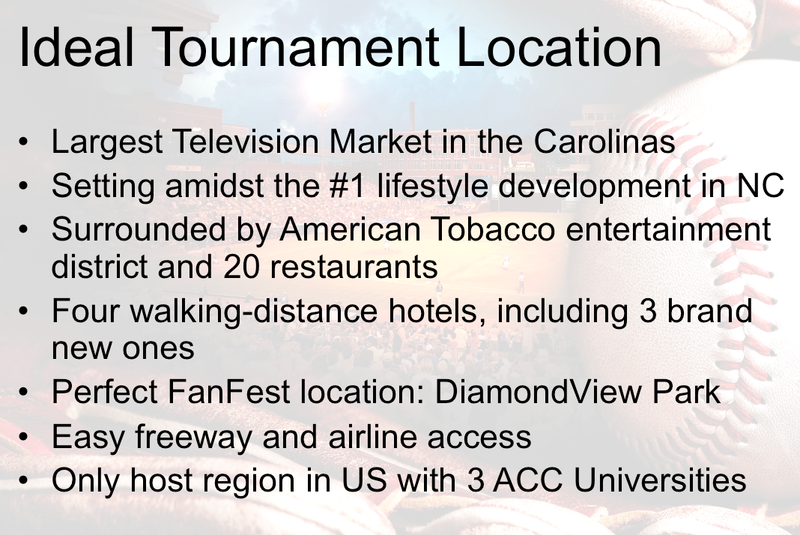 We want the ACC tournament back in the Bull City. 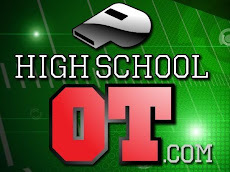 (see November post) As a matter of fact, we've offered to become the permanent home…just like Birmingham has hosted the SEC since 1998…or Omaha's "ownership" of the NCAA baseball tourney. 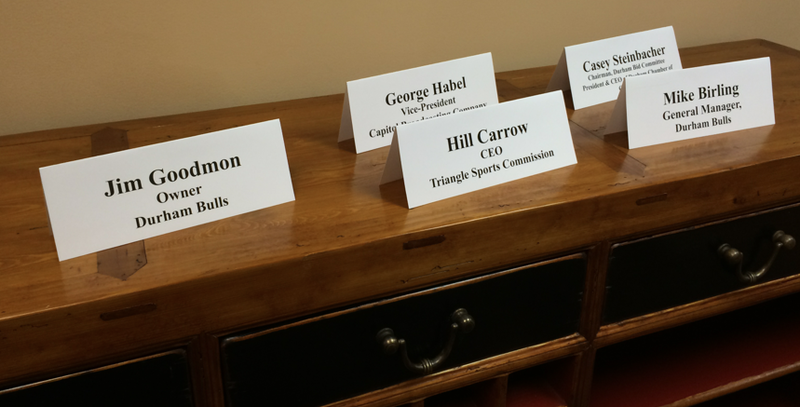 A tip of the ball cap…to Hill Carrow of Sports & Properties and the Triangle Sports Commission. 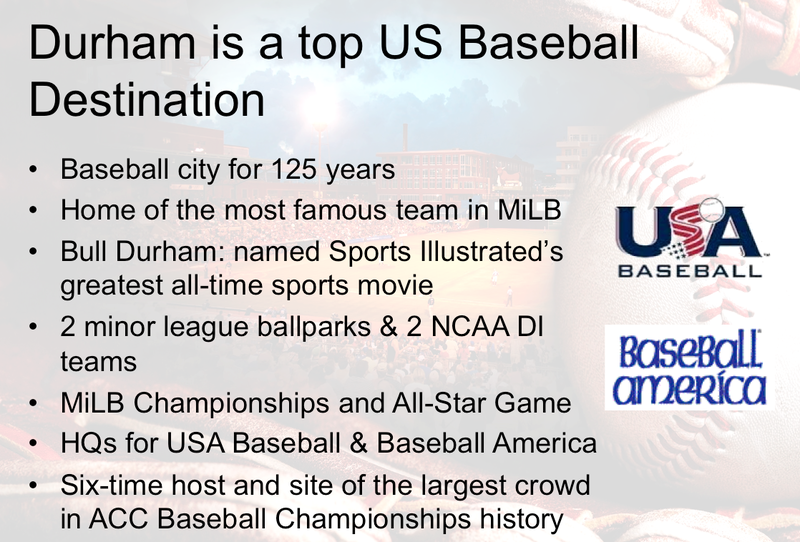 They have been instrumental in the preparation of Durham's bid.